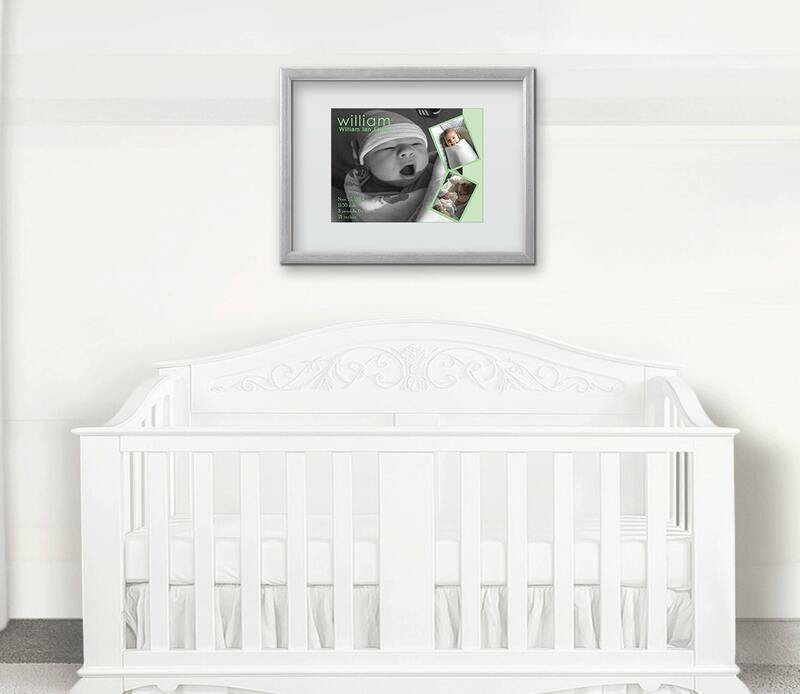 This beautiful baby birth announcement featuring 3 baby photos of your choosing will forever serve as a remembrance of your little bundle. We print on premium photo paper using archival ink. Included are the baby's stats (full name, date of birth, time of birth, height, length). 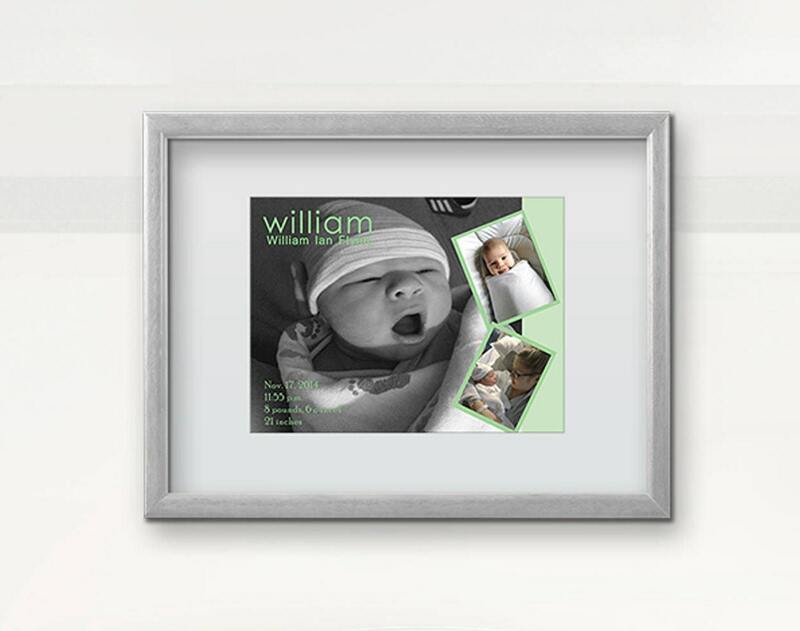 This is the perfect gift for new parents, and it makes any nursery even more special for that new baby. 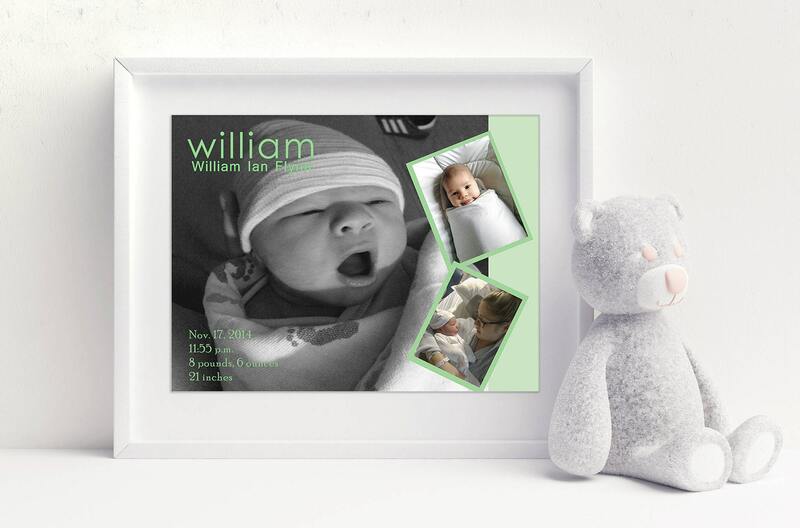 --You choose your font color and the color for the borders of the photos. --You can send your photos via email (mhousenick1740@gmail.com) or through an Etsy conversation. Please send them at the HIGHEST resolution possible from your camera or phone. Do NOT crop, enlarge or edit your photos. I'll take care of that. -----Which photo (s) do you want in color versus black and white. Or let me know if you want them all in color or all in black and white. If no specification is made, I will use whatever you send. --When you check out, please select your background-frame color. 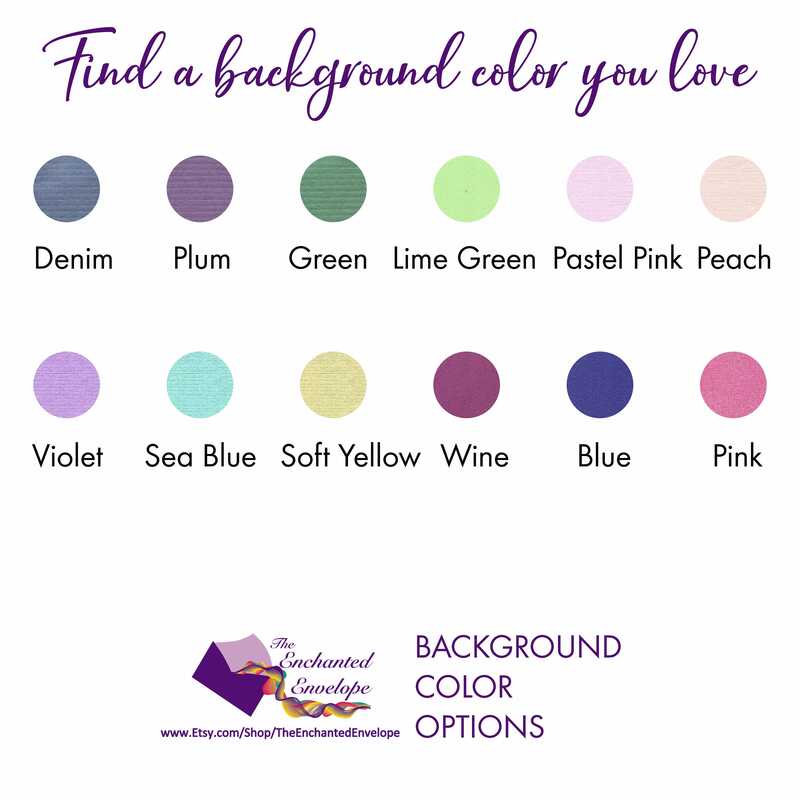 You will find a sample of each color we offer in the images. If you would like a color that is not shown, please message me and I will do my best to find the color you'd like. NOTES: Because all monitors are different, the colors shown on your screen may vary slightly from the finished product. If you would like a larger size, please message me. It's very likely I can design a larger size for an additional fee.